Crystallized ginger, also called candied ginger, consists of the peeled rhizome of the ginger plant that is cooked in sugar until tender. Aside from its use as a confection, crystallized ginger root is added to tea and other hot beverages for sweetness and spice. appearance & aroma Looks, smells (and tastes) like candy! 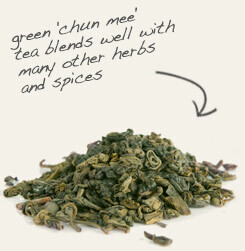 culinary Delicious eaten as-is or added to teas and broths. Add crystallized ginger to chun mee “precious eyebrow tea,” produced in the Jiangxi province of China. 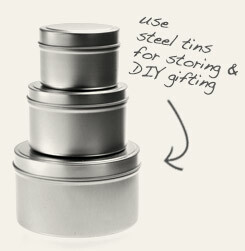 Keep crystalized ginger fresh in a stainless steel tin. Sweet coupled with the characteristic zing of ginger root. Ginger is well known to most westerners as a spice used to flavor in gingerbread, gingersnap cookies and the soft drink ginger ale. In Asia, the root of the plant is a staple seasoning in many kinds of traditional foods and spice blends, such as chicken curry and garam masala. Ginger root is also used to make sweet treats confections, such as Yorkshire parkin and German spekulatius, a type of cake and cookie, respectively. 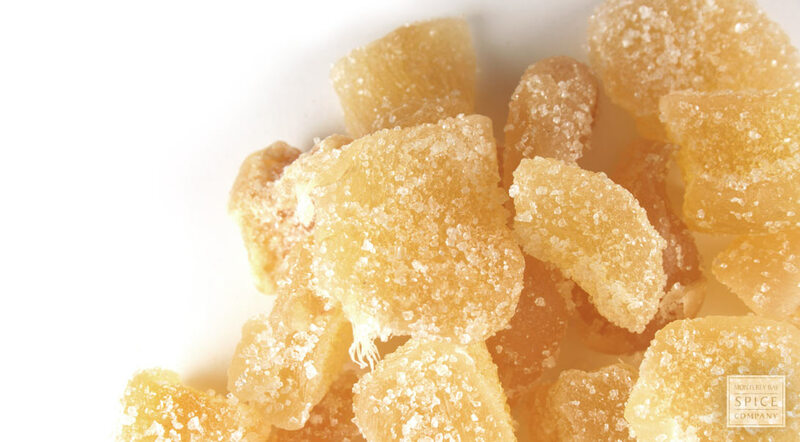 In China, candied ginger root is fermented in plum juice and enjoyed as both a confection and a soothing throat lozenge.